HARLOW CC’s season finished on a very mixed note. Defeats for the 2nd & 4th XI condemned both to relegation along with the 1st XI who were relegated the previous week. 1st XI playing Oakfield Parkonians CC beat them. Oakfield scored 196 all out in their innings after opting to bat, Mitchell Howarde bowling took a season best of 5-40 in 16 overs. Batting in reply, Harlow scored 198-7 off 35.1 overs. With an adjustment to the batting line-up, Jake Messenger top scored with a season best of 37 with Andre Riddell also scoring a season’s best 35. Ryan Jessey (33) also contributed to the win. 2nd XI needing to get as much out of the match in terms of points to avoid relegation unfortunately failed. Electing to field against Wickford CC who had all but achieved promotion, Wickford scored 184-8, Amir Farooq took 4-48. Batting, only Zabi Hakimi with 61 offered any resistance to Wickford in the run chase. Waheed Azam with 24 was the only other batsman of note, as they succumbed to defeat and after an overnight wait relegation was confirmed. 3rd XI drew their final match against Buckhurst Hill to finish mid-table. Batting first opener Mashood Iqbal scored 111 before being out and Dipendra Basnet (49) also contributed to a total of 275-6. In reply Buckhurst Hill scored 229-9 with Harlow just failing to bowl them out, Reece Galvin (2-43), Tyler Dobson (2-39) & Asad Aleem Baig (2-5) pick of the bowlers. Daniel Stopp of 119 before he was out. Gidea Park scored 288-4 to secure the win but the result helped neither side as both were relegated. The win would have kept Harlow up. 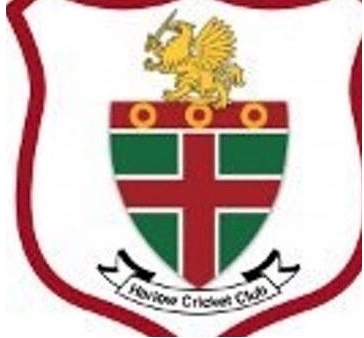 All in all a disappointing Season for Harlow CC who hope they can bounce back next year.